The phone is truly stunning with a metallic finish to complement the sleek design. The lightweight frame is also easy to hold offering a steady grip. 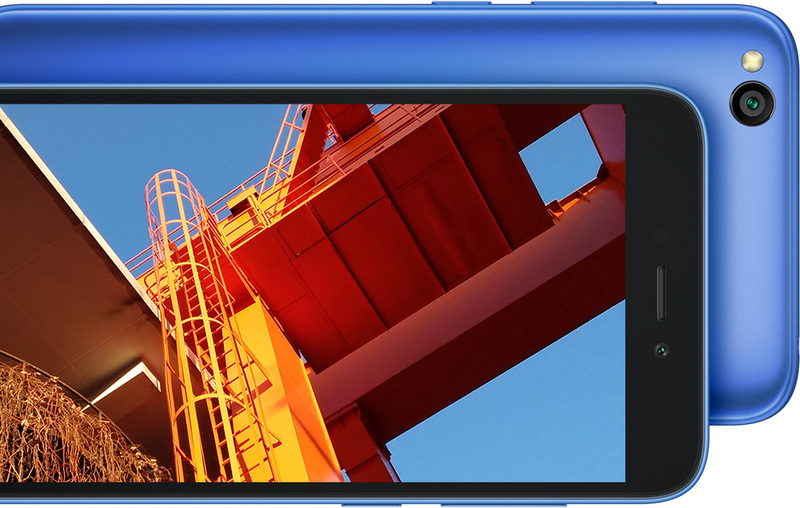 View your content sharp and clear on the 12.7cm (5.0) HD display. The screen has an aspect ratio of 16:9 and a resolution of 1280x720 to complete the rich visual experience. up to 12 hours of call time, 29 hours music playback and 5 hours of video playback. Experience a smooth & fast operation that is specifically optimized for Redmi Go. With fewer pre-installed apps, data and storage use is considerably minimized. Google Assistant (Go edition) is available in over 7 Indian languages including Hindi, Bengali, Tamil & more. Up to 128GB expandable storage. 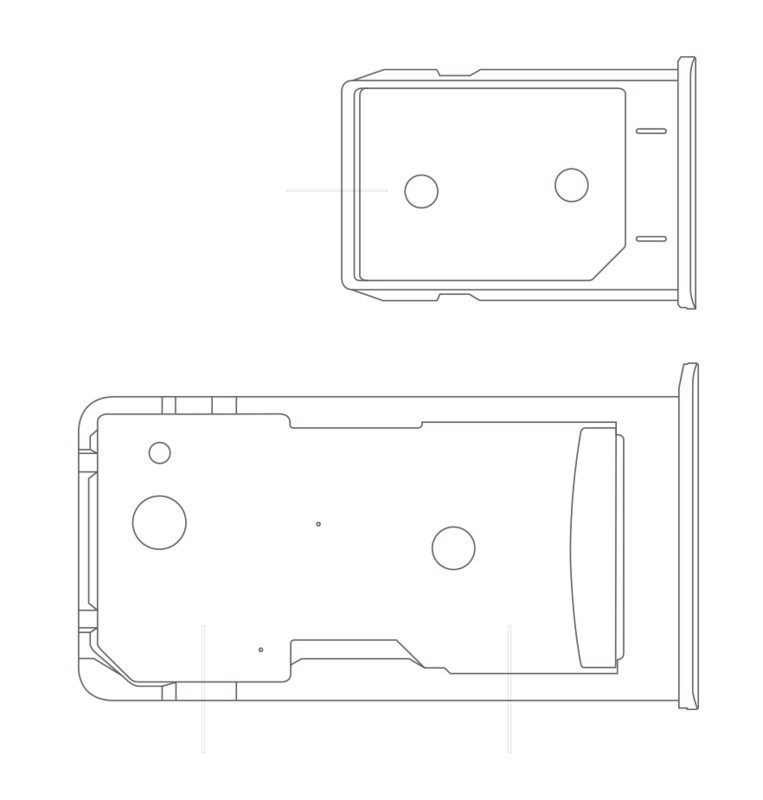 Supports simultaneous use of two SIM cards for data and phone calls and a microSD card for data storage. 1. Can I expand the storage on this phone? 2. Can two SIM cards and an SD card be used together? Ans. Yes, the smartphone supports dual SIM cards and a dedicated SD card at the same time. 3. Can I change the phone language to Hindi? Ans. Yes, Redmi Go supports 20+ regional languages. So you can change it to the language of your choice. Redmi Go supports Hindi, Marathi, Gujarati, Tamil, Bengali, Punjabi, Telugu, Kannada and more. The Google assistant (Go edition) is also available in 5 languages including Hindi. 4. Does the phone have a noise cancelling mic? Ans. Yes, there is active noise cancellation with a dedicated mic. 5. Will my phone be repaired if issues arise? Ans. Yes, Xiaomi has smartphone service centers across India, which will help you get your device repaired. Your Redmi Go comes with a 1-year limited warranty. 6. Can I send files from my phone to other phones? Ans. Yes, you can use file-sharing apps like Mi Drop you can easily share your files with others. 7. Does it have a selfie camera? Ans. Yes, the Redmi Go has a 5MP front camera with AI Beautify for sharp and clear selfies and conduct video calls. 8. What version of Android does the phone feature? 9. Can I take photos in the night? Ans. Yes, since Redmi Go features a dedicated single LED flash on the rear camera that allows you to click images in the night. 10. Can I use YouTube on the phone? Ans. Yes, Redmi Go supports YouTube. You can also download other apps like Hotstar, Jio TV, etc. Two 4G networks cannot be used simultaneously. When using two SIM cards, one will support 4G while the other will not. Note: All data points are based on design specifications, lab data and suppliers. Graphics shown are illustrations only and not actual measurements. **Availability may vary between markets. *Unless otherwise indicated on the Redmi Go product page, all data are obtained from Xiaomi laboratory data, product design specifications and supplier data. The testing data may vary slightly between different test versions and testing environments. All figures shown on the product page are for reference only and may not reflect the actual product. 1. Can I expand the storage on this feature phone? Yes, the smartphone supports dual SIM cards and a dedicated SD card at the same time. 3. Can I change Redmi Go language to Hindi? Yes, Redmi Go supports 10+ regional languages. So you can change it to the language of your choice. Redmi Go supports Hindi, Marathi, Gujarati, Tamil, Bengali, Punjabi, Telugu, Kannada and more. The Google assistant (Go edition) is also available in 5 languages including Hindi. 4. 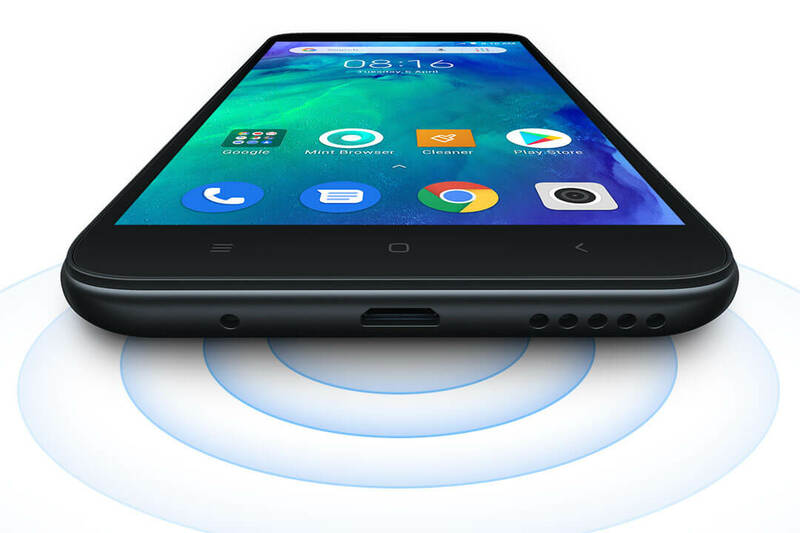 Does Redmi Go have a noise cancelling mic? 5. Will Redmi Go(Feature Phone) be repaired if issues arise? 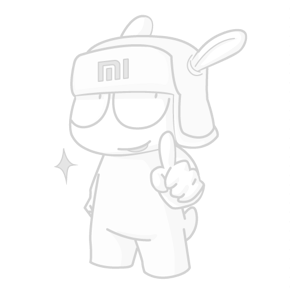 Yes, Xiaomi has smartphone service centers across India, which will help you get your device repaired. Your Redmi Go comes with a 1-year limited warranty. 6. Can I send files from my Redmi Go to other phones? Yes, you can use file-sharing apps like Mi Drop you can easily share your files with others. 7. Does Redmi Go have a selfie camera? Yes, the Redmi Go features have a 5MP front camera with AI Beautify for sharp and clear selfies and conduct video calls. 8. 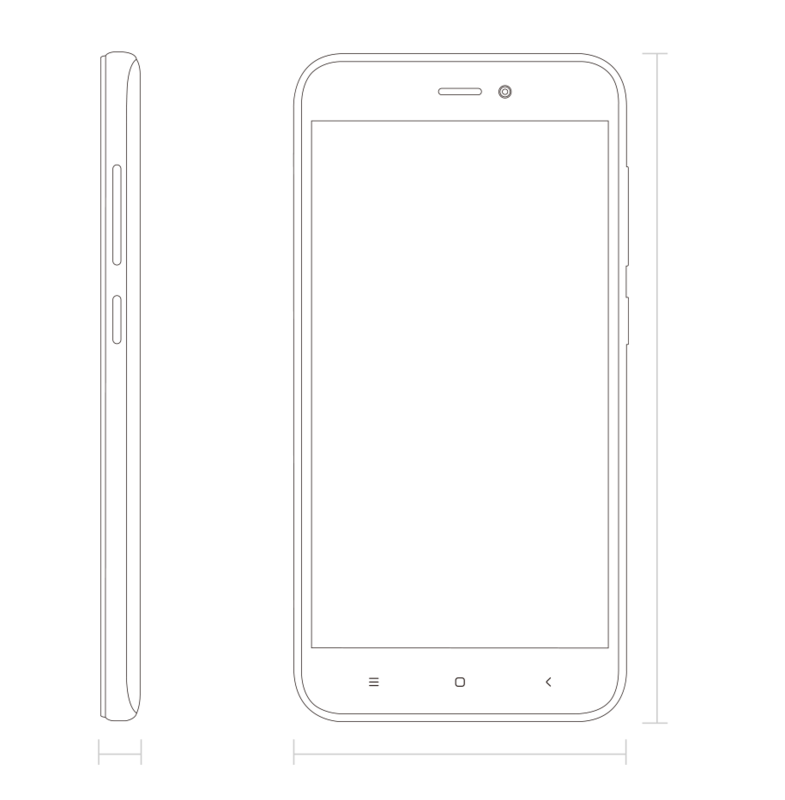 What version of Android does the Redmi Go feature? 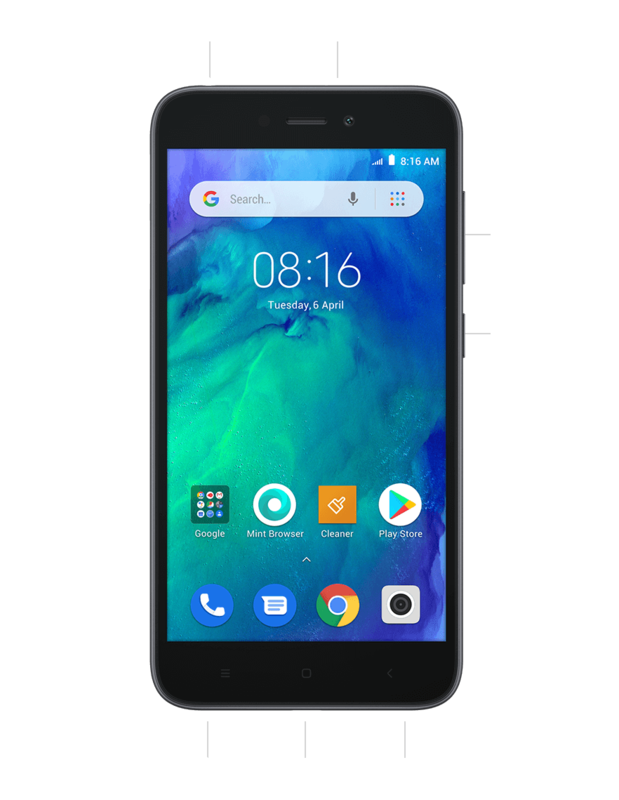 The phone runs on Android 8.1 Oreo (Go edition). Yes, since Redmi Go features a dedicated single LED flash on the rear camera that allows you to click images in the night. 10. 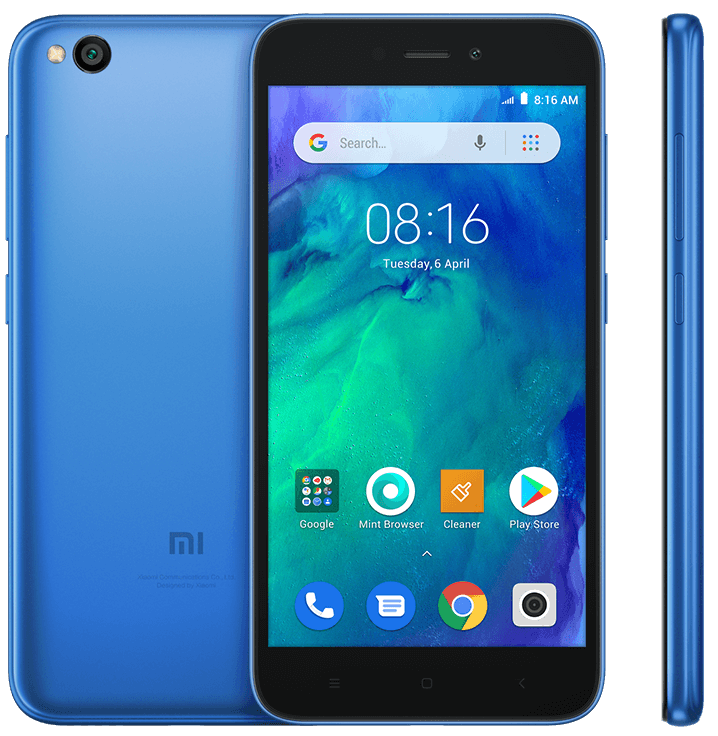 Can I use YouTube on Redmi Go? Yes, Redmi Go supports YouTube. You can also download other apps like Hotstar, Jio TV, etc.